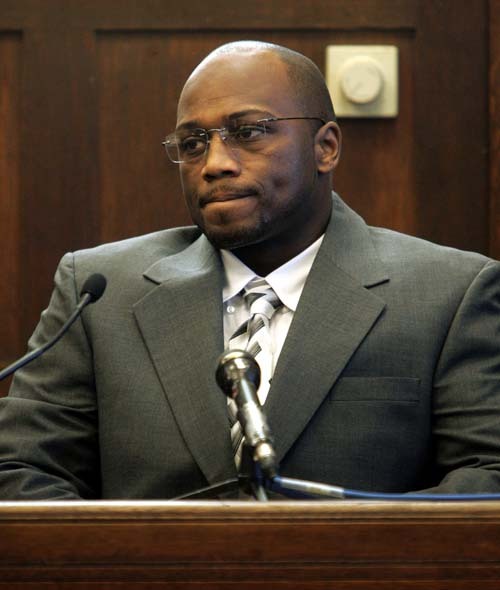 Sean K. Ellis: After 20 years behind bars, he seeks a new trial.A Dorchester man serving a life sentence for a cop killing 20 years ago – a crime he says he didn’t commit – may yet have a chance for a new trial and freedom. Sean K. Ellis, arrested in 1993 at age 19, was one of two teenagers convicted of putting five bullets into the face of Boston Detective John Mulligan -- “to get his gun for a trophy,” prosecutors said. The other youth, Terry Patterson of Hyde Park, then 18, was freed from prison in 2007 after a ruling by the Massachusetts Supreme Judicial Court discredited fingerprints that police claimed were his. The story began in September 1993 with the pre-dawn assassination of the 52-year-old detective as he slept in the driver’s seat of his SUV, which was parked outside the Roslindale Walgreens he was paid to protect. Someone either fired through his partly open window or climbed into his passenger seat to make the kill. 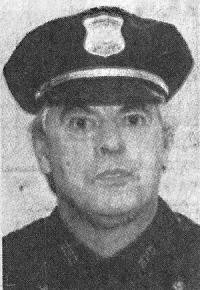 Officially branded a “problem officer” by the Boston Police Department the year prior, Mulligan had a rough policing style that churned up multiple enemies and lawsuits over his 27-year career. Investigators initially began combing his police work for individuals bent on revenge, yet within days they netted teenagers Ellis and Patterson and re-labeled the assassination a random crime of opportunity, prompted when the youths happened upon the sleeping detective and decided to steal his gun. Many observers remained skeptical about the police account: Why would teens kill a uniformed detective so brutally, in gangland style, on a motive so slim? Scapicchio’s motion also cites FBI reports that document credible tips ventured by two Boston police officers that a “named” fellow officer was responsible for Mulligan’s killing. Not only were these suspicions suppressed, she notes, but one officer was also disciplined for voicing them. A matching tip came in from a civilian who’d recently been arrested by Mulligan and his partners, complete with the name and motive of the suspected Boston officer. This tip, too, was ignored, Scapicchio writes. The crux of Scapicchio’s argument for a retrial rests on testimony in federal grand jury proceedings that Mulligan robbed two Commonwealth Avenue apartments leased by a Boston drug dealer three weeks before his murder, working alongside two detective friends, Kenneth Acerra and Walter Robinson. (Acerra and Robinson later pleaded guilty to more than 40 counts of such robberies and did prison time.) The relevance for Ellis is that Acerra and Robinson served on the task force investigating Mulligan’s murder. As partners in crime with Mulligan, they had a conflict of interest, Scapicchio asserts, that could well have colored their motives and calls for further scrutiny of the evidence they brought forward. From the outset, the Mulligan murder investigation was fraught with allegations of misconduct. First, Mulligan’s cell phone, reported missing from his SUV after the murder, was “discovered” a week later in the vehicle’s center console by the aforementioned Detective Acerra in what police characterized as a second search of the vehicle. That explanation resulted in Acerra being yanked from the investigation by the chief prosecutor; he subsequently was put back on the job after his union pushed for his reinstatement. Next, Acerra, acting with Detectives Robinson and John Brazil, brought forward a teenaged witness named Rosa Sanchez, coincidentally, the niece of Acerra’s live-in girlfriend and cousin of their child. Sanchez testified that when she stopped at Walgreens at 3 a.m. for a bar of soap on the morning of the murder, she saw an African-American man peering into the sleeping Mulligan’s car window. She identified Ellis from police photos, but it took her two tries to make the ID, according to a detective’s testimony at a pre-trial hearing called to examine the circumstances. In her first attempt, she selected another man – neither Ellis nor Patterson – and left the homicide unit. She then sat outside in Acerra’s private car with him and Robinson, and by several accounts, she was weeping. Five minutes later, she was back inside, pointing to Ellis’s photo. On this basis, his defense attorneys, Norman Zalkind and David Duncan, protested the ID as “tainted.” Nonetheless, it was admitted as evidence. Terry Patterson: Shown in Suffolk Superior Court on Feb. 7, 2006. 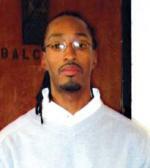 Patterson was freed from prison in 2007 after the state's Supreme Judicial Court discredited fingerprint evidence used to convict him. AP Photo/Steve SenneBoth Sean Ellis and Terry Patterson pleaded not guilty. Patterson was convicted readily after prosecutors produced fingerprints they said were his from Mulligan’s car door. But Ellis’s conviction was hard-won. Speaking voluntarily to police, he admitted riding to Walgreens in Patterson’s car after a party, but said he only shopped for diapers and had nothing to do with the murder. Police later found a box of Luvs with their Walgreens receipt in his cousin’s apartment. No physical evidence linked Ellis to the crime scene, and, despite Sanchez’s photo ID, and despite his attorney’s admission that he and other friends helped hide guns for Patterson, two back-to-back juries failed to conclude he was in a murderous joint venture with Patterson. A half-year later, and with no additional evidence brought to bear on the case, a third jury convicted Ellis of murder one in September 1995 and sent him to prison for life without parole. Just five months after Ellis’s conviction, Mulligan’s friends and task force investigators Acerra and Robinson, along with their protégé, John Brazil, were exposed as having perpetrated a decade-long scheme of robberies of drug dealers and illegal immigrants based on falsified search warrants. Acerra and Robinson were ultimately stripped of their badges and pleaded guilty to federal charges; Brazil was granted immunity in exchange for his cooperation and later retired. That admitted felons with ties to Mulligan were instrumental in convicting Ellis prompted attorneys Zalkind and Duncan to mount a retrial motion for him in 1998, but the motion was denied when the judge refused to speculate that the detectives’ corruption in drug cases transferred to a murder case, despite their extensive perjury on warrants and in court. Now, 16 years after that failed retrial bid, Scapicchio, armed with new information, adds meat to Zalkind and Duncan’s 1998 retrial argument, maintaining that Mulligan’s criminal link with Acerra and Robinson gave the corrupt detectives a plausible motive to manufacture evidence: The intense, ongoing probe of Mulligan’s police work threatened to expose their joint crimes and double lives. Enter Rosa Sanchez, whom Acerra, Robinson, and Brazil brought forward within twelve hours of the murder and whose seemingly reluctant ID of Ellis led to his arrest and halted the investigation into other suspects. Scapicchio also notes that another prosecution witness had her pending drug charge dropped and $3,580 returned – money confiscated from her underwear during her arrest – after she modified her times of shopping at Walgreens in a way that buttressed Sanchez’s account. Scapicchio also wants the Commonwealth’s ballistics evidence scrutinized anew, noting that studies completed by the National Academy of Sciences after the trials cast doubt on the reliability of “identifying tool marks” on recently manufactured bullets. Moreover, she has uncovered a police transcript showing that detectives questioned John Mulligan’s girlfriend’s roommate about a “pearl-handled .25-caliber gun” – the exact description of the purported murder weapon – two days before the weapon was found in a Dorchester field. Scapicchio is asking: How did police know about the gun? Was it Mulligan’s own? Was it planted? By the time of Ellis’s arrest in the Mulligan case, he’d had “a few run-ins with the law,” he admits in a letter he recently sent to the Urban League, American Civil Liberties Union, NAACP, and a dozen other social justice organizations, seeking their help. But he was never convicted of any crime, let alone a violent crime. For the past 20 years, he has been a model prisoner, rising in status through the system and earning certification as a legal assistant via a correspondence course. Now 39, he is one of an elite group of inmates chosen at medium-security MCI Norfolk to counsel at-risk youth. During those 20 years Sean Ellis has continued to insist that he played no role in Mulligan’s slaying, but unless he can win a fourth jury trial – and then win the jurors over – he will likely die in prison. Will Scapicchio’s arguments, and the many troubling questions and inconsistencies in the case that she has laid bare, be enough to grant Sean Ellis a fourth trial? That is the question for Suffolk Superior Court Judge Carol S. Ball. Elaine A. Murphy, a retired publications editor and former Boston school teacher, knew Sean Ellis in the 1980s when he was a Metco student and friend of her son’s in Needham’s Mitchell Elementary School. Since learning of Ellis’s conviction in 1995, she has closely followed his case and recently set up a website, justiceforseanellis.com.